Fans of crazy fun attractions flock to Orlando's WonderWorks museum in droves to discover the magic of the weird, the wild, and the amazing. Your travel group will not want to miss the chance to spend a few hours at this ever-popular attraction. Approach and discover that the museum is in fact upside down! Legend has it that a science experiment gone wrong created a tornado that lifted up and carried that laboratory to its current location in sunny central Florida, dropping it upside down. 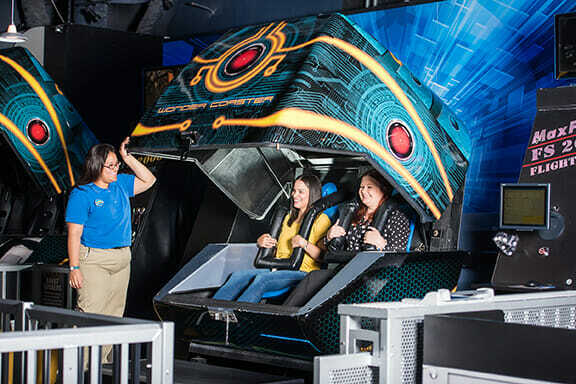 Before you can experience the museum, you must pass through the inversion tunnel to be turned right-side up and sent on your way to explore a fantastic collection of more than 100 interactive exhibits! Become a human lightning rod, experience the ferocity of the Hurricane Shack and drop by the Earthquake Café where the walls are cracked in two. How long can you withstand the Titanic chill of icy Atlantic waters? 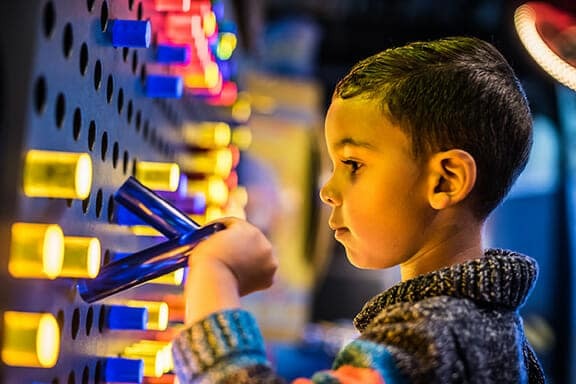 Blow mind-boggling mega-bubbles in Bubble Lab, test your all-star capabilities with a virtual sport, play a giant piano with your feet, and design your own roller coaster ride! Fast guns will want a showdown for sure as you can outplay, outlast and outshoot your Laser Tag opponents. Hit the Ropes and test your skills on a glow-in-the-dark course designed with respective experience levels in mind, conquer a variety of cool obstacles and just have too much fun! Top it all off with an Outta Control Magic Comedy Dinner Show complete with pepperoni pizza and a side of a seriously tickled funny bone.